Just three nominees here and only the mercurial Phil Keen makes the cut from the headline GT2 class – his performances aboard the Eclipse Mosler were a real eye opener, definitely a star of the future. In GT3 the joint champion was a revelation – Dimitris Deverikos was all but unknown before the season, but was quick and safe aboard the Tech 9 Porsche all year. A clear winner here though was a young man who didn’t take Route 1 – in a year when the entry was dominated by Porsche and Ferrari he chose a different course and impressed everyone with his pace and racecraft aboard the Team Aero Morgan. 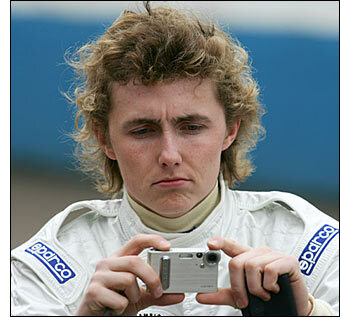 The dailysportscar.com United Kingdom Rookie of the Year 2005 is Oliver Bryant. “Young, confident and talented. A star of the future” – Mark Howson.